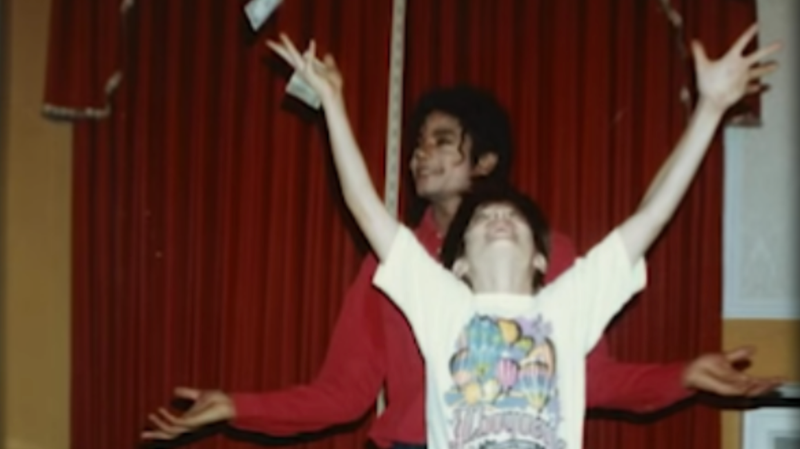 The premiere for Leaving Neverland has come and gone, but the saga surrounding it continues. And for those of us who have seen the documentary, so has the impact of James Safechuck’s and Wade Robson’s graphic claims. In the film, there was one particular account shared by Safechuck regarding an alleged abusive encounter occurring at the hands of Michael Jackson at his Neverland Ranch’s train station. In an exclusive with the Mirror, Making Michael biographer Mike Smallcombe claims Safechuck’s account couldn’t have possibly been true, due to a date discrepancy. In the documentary, Safechuck claimed he was abused by Jackson from 1988 to 1992; however, Smallcombe found that the train station hadn’t been built until 1993. Via an additional summary of what it asserts to be many discrepancies within the documentary, the estate maintains that Robson and Safechuck attempted to profit from Jackson’s estate and the ensuing scandal. Among the issues raised, the estate once again references the fact that both men previously testified under oath that no abuse had taken place (after which Jackson was legally exonerated), dispute the timeline of the now alleged abuse, and the “blatantly one-sided” perspective of Reed’s documentary, which the director has stated was intended to center Robson and Safechuck. Through his Twitter account, Leaving Neverland director Dan Reed replied to Smallcombe’s tweets, acknowledging the fact-check and leading Smallcombe to also accuse him of improperly investigating for the documentary. The oversight suggested by Smallcombe may seem glaring for a documentarian, yet the implications placed on a trauma victim can be complex. Memory can be a finicky thing when it comes to surviving trauma. Regardless, reconciling with what can possibly be true—whether it’s just some of it or all of it—has remained difficult for myself and many fans. The estate is currently suing HBO over the documentary, which they initially called a “public lynching” of the late King of Pop after it premiered at the 2019 Sundance Film Festival. The Root has also reached out to HBO for comment. James Safechuck was present at Michael Jackson’s Neverland Valley Ranch both before and after the construction of the train station there. The two still photographs of the train station shown in the documentary were taken by Safechuck and provided to me by him. Safechuck’s testimony in the film is that he was abused by Jackson in multiple places over several years. The train station at Neverland is just one of the many places where James remembered that sexual activity occurred. The film also makes clear that sexual contact between Safechuck and Jackson continued until James was into his teenage years. Editor’s note: An earlier version of this article incorrectly suggested there was exclusive information in this post; we have amended the article accordingly. A statement from HBO is still pending, and we will update as needed.